We are proud of our partnership with Covenant Community Care! 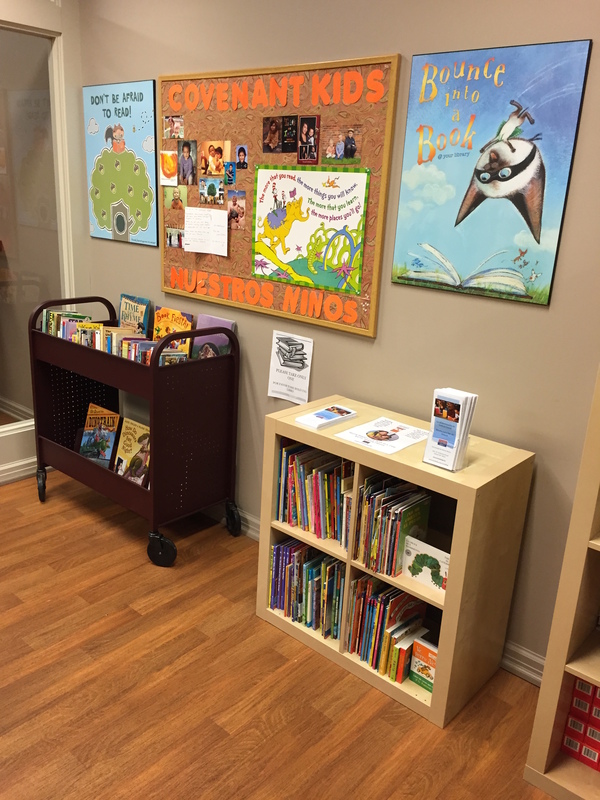 Their Michigan Avenue clinic serves many Spanish speaking families, so RX for Reading established a Clinic Library with English, Spanish, and bilingual options for children as well as English and Spanish educational materials for parents. Many thanks to Covenant pediatrician Betsy Cherian, MD and Clinic Manager Claudine Mamo, RN and to University of Detroit Mercy undergraduates Casey Rhines and Nic Combs for setting up the library. Special thanks to En Nuestra Lengua Literacy and Culture Project for their generous donation of Spanish and bilingual books! En Nuestra Lengua is a no-cost Saturday Spanish-language academic program that brings together the local community, Spanish-speaking children, their families and veteran educators—all working as a team to counteract the significant Hispanic academic achievement gap. 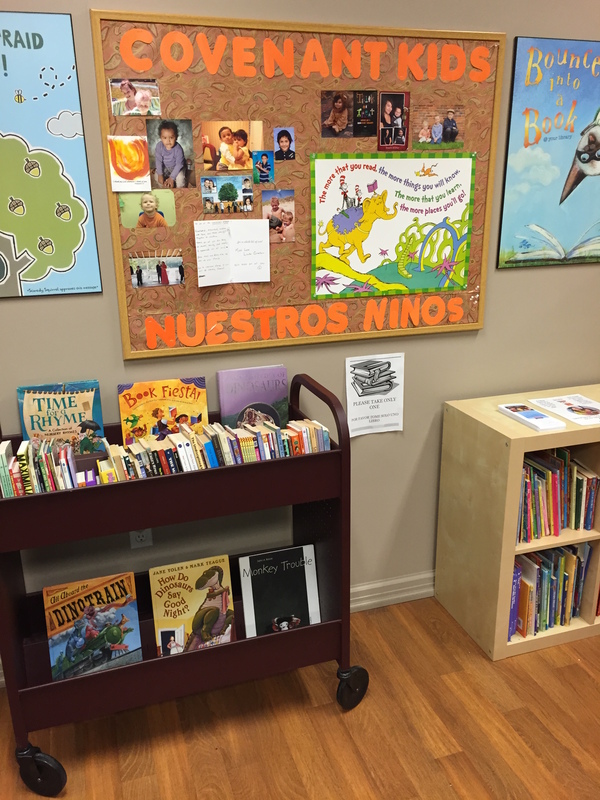 The families in En Nuestra Lengua donated hundreds of books to RX for Reading which allowed us to build our RX for Reading Covenant Library. ← RX for Reading at the Arab American Chaldean Council Behavioral Health Clinic!